You need to remove all unnecessary items from your home. This includes clothes, furniture, appliances, books and kitchen items. 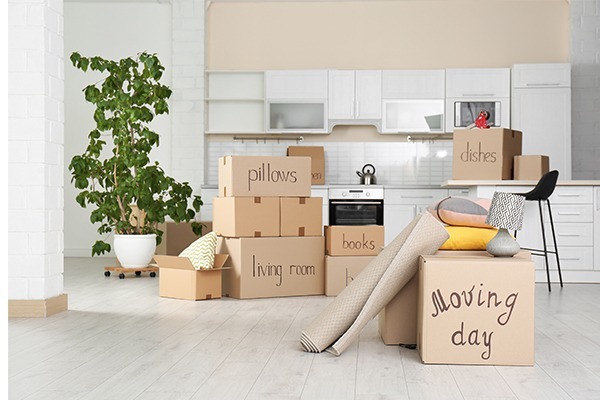 Your moving cost will depend on a number of factors, but the weight of your shipments and the distance between your old home and your new home will play the most crucial role in determining the final price of your move. If you carefully purge items that you don’t need, then you will be able to save some money on your move. Packing is one of the most important aspects of your move so if you choose to do it yourself, you should familiarize on how to pack different items. Check out our room-by-room packing guide that will help you understand how to pack your household goods. We recently helped Sabrina Smelko, a designer and the host of HGTV's Save My Reno, move from Ontario to BC. Check out some cool self-packing tips from Sabrina that will help you to move with ease. When you hire professional movers, you get complete peace of mind. Their knowledge and expertise will ensure that your belongings will safely arrive at your new home. They will guide you every step of the way to ensure you have a smooth moving experience. Of course, you would like to hire a mover that offers the best deal. (Spoiler Alert) However, do not hire a mover without verifying their credentials. We recommend checking to see that your mover is a member of the Canadian Association of Movers (CAM). The moving industry in North America is largely unregulated. CAM only admits only reputable movers. To validate a mover, go to the CAM directory of movers. Don’t forget to check your mover’s BBB rating and their online reviews. Compare your move estimate with other moving companies and make sure you go through all the details to ensure they are comparable. Our Consumer Sales Manager, Tara Schneider, recently shared some great moving tips with Tanya Appel (Mortgage Broker) in Calgary. A reputable mover will take many precautions to safeguard your belonging, but sometimes damages do occur. Therefore, you need to buy coverage that suits your needs. You need to take high-value items like Jewellery, antiques, stamp or coins along with you. Movers are busiest during the summer and at the end of the month. If you have the luxury to move at any time during the year, then plan your move outside of the peak season. You should also book your move in the middle of the month and its even better if you can book your move in the middle of the week. You might need short or long-term storage solutions for your move. Check carefully if your movers provide complete storage solutions. You need to make sure that your movers do not rely on third parties to provide you with this service. A full service moving company will have a warehouse facility with advanced fire and theft protection. Shhhh — Don’t share this article with others because many rogue-moving companies will miss out on their business.